A few kilometres outside of Walvis Bay we pass Dune 7, the first sign of the blood red sand dunes that Namibia is famous for. I’ve already envisioned myself charging off road in the soft sand. Our next stop is Homeb. 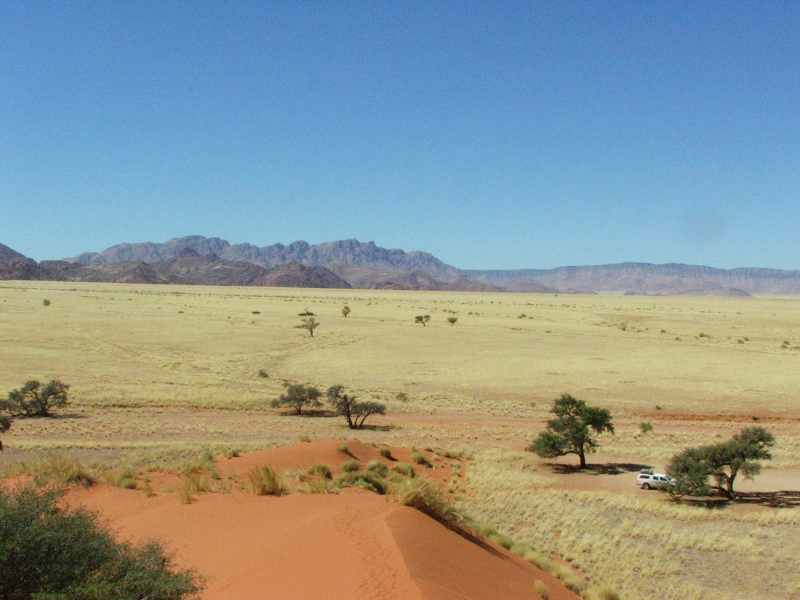 A very remote part of the Namib Naukluft right beside a dry river in its own canyon edged by those large red sand dunes. That night we bush camped, the only people for hundreds of kilometres in any direction downing rum by the fire after a hearty braai. I’m contented now, more than ever before. Emancipated from public transport, our new found independence is wholly liberating. Our faces still warm from the fire we retire to bed. En route to Sossusvlei we detour through the Kuiseb Pass and Gamsberg Pass winding up and down through some spectacular roads over increasingly sky scraping mountains. Our reason for being here; star gazing. This point on the planet here is among the best in the world. Sossusvlei was for me, after hearing stories from Bob and Jenny, a must. 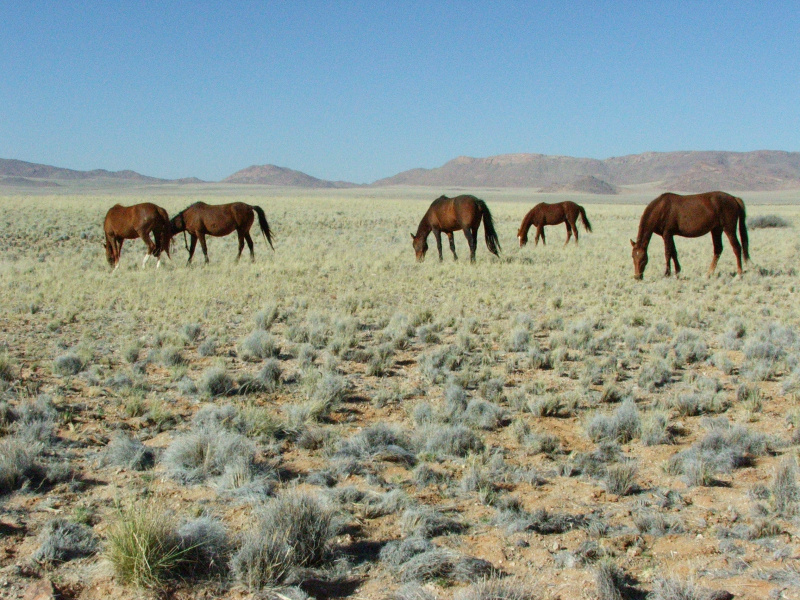 Nestled in the heart of the Namib Naukluft Park its bare beauty is unmatched. 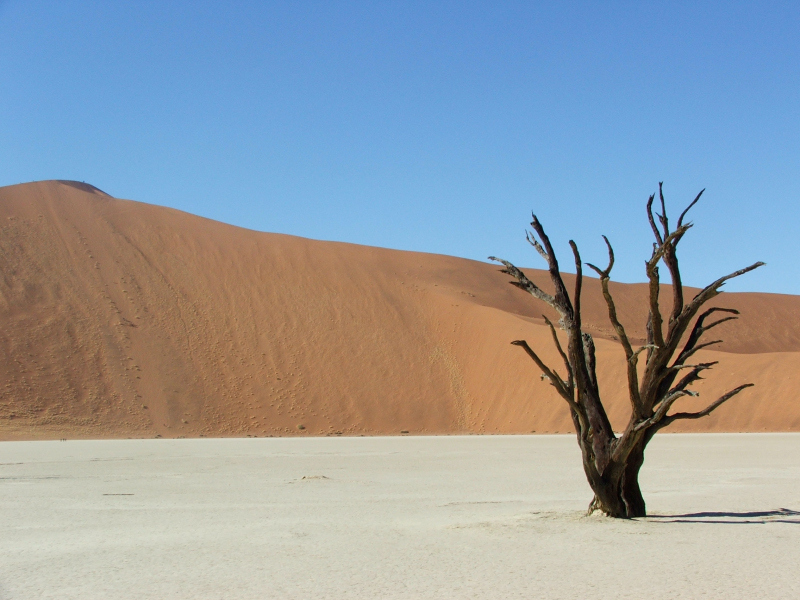 Dead Vlei revealing its 500 year old dead trees against a red sandy backdrop like a picture postcard. We sample Moose MacGregor’s apple crumble in Solitaire and continue to Aus where we sit amongst the feral desert horses. 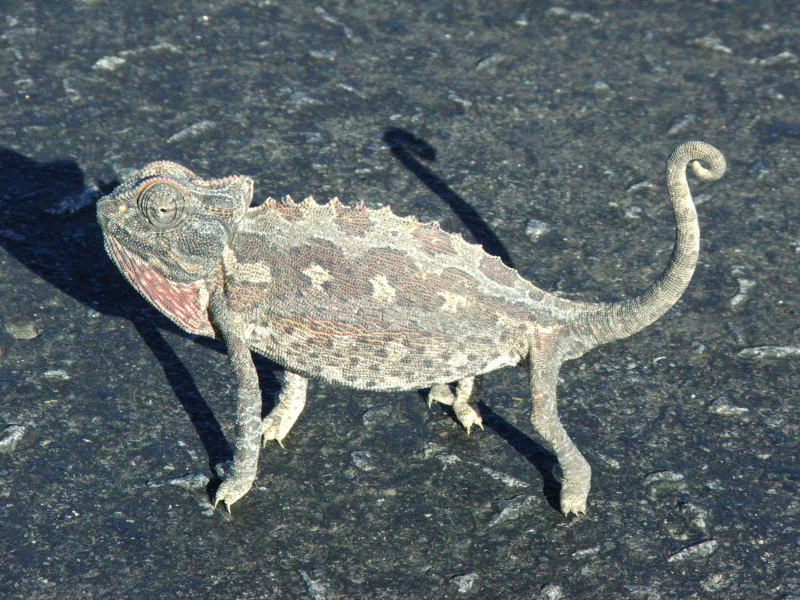 We clock a Chameleon along the road, it soon hissing in defense of the Irish paparazzi. 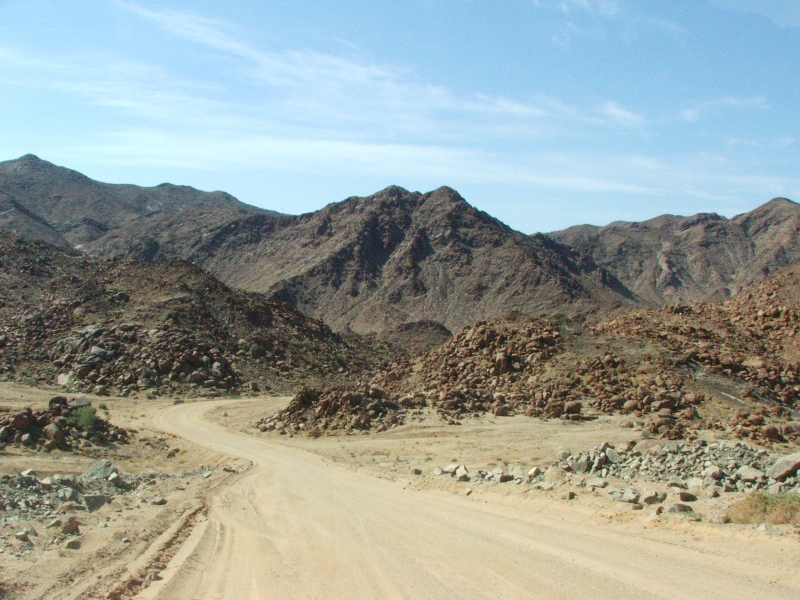 Ai-Ais is one of the first peace parks, combining with the Richtersveld National Park on the South African side. Again we find ourselves on the moon while we skirt the Orange river. A male Leopard springs from the bush for a brief staring match and vanishes. 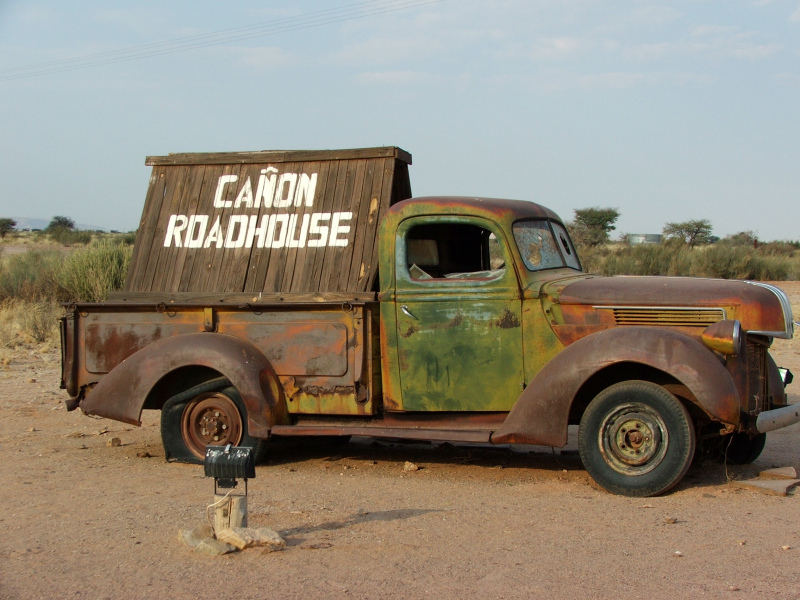 We settle into the Gondwana Roadhouse for a couple of nights to inspect the Fish River Canyon. 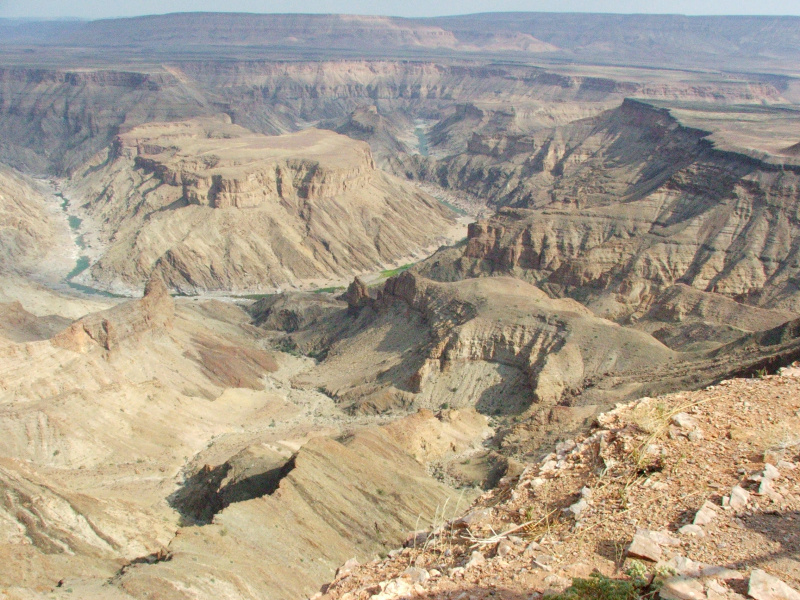 Second only to the Grand Canyon, and equal to the Blue Nile Gorge it’s a massive gash in the earth’s crust. 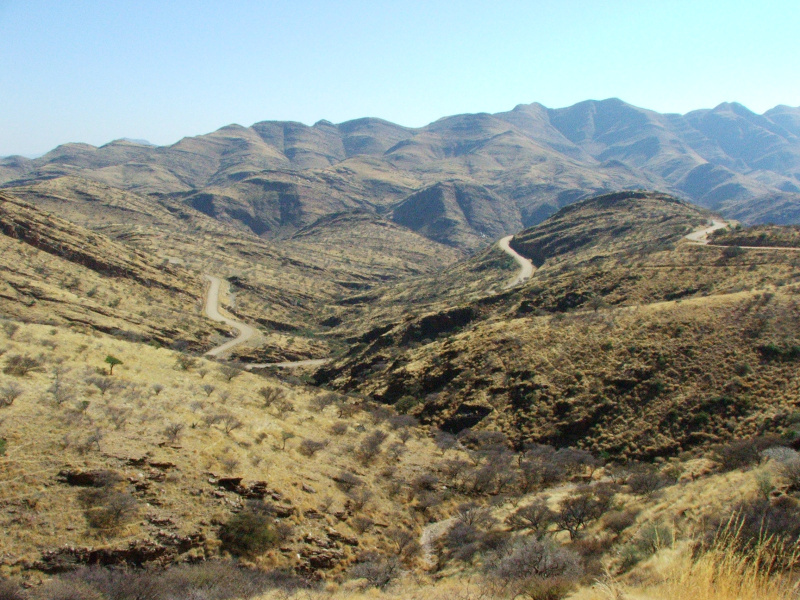 Over 150 kilometres long it winds through southern Namibia its depth and precipices knee knocking. Basil has an infectious manner. His enthusiasm for the wilds of his local Brandberg and knowledge of its residents and their habits are without boundaries. 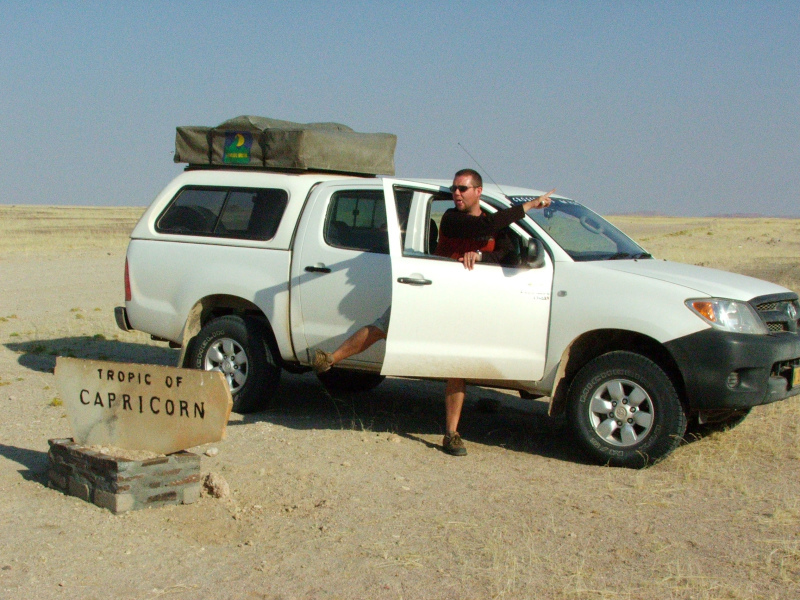 Amazingly, he let us tag along, on the now dry and very sandy Ugab river, in search of Desert Elephants. Off roading and Desert Elephants! What more could I ask for? Kilometre after kilometre up the Ugab we coursed and eventually there they were. Basil getting charged and making a very slow get away. Naturally, we came to the rescue. 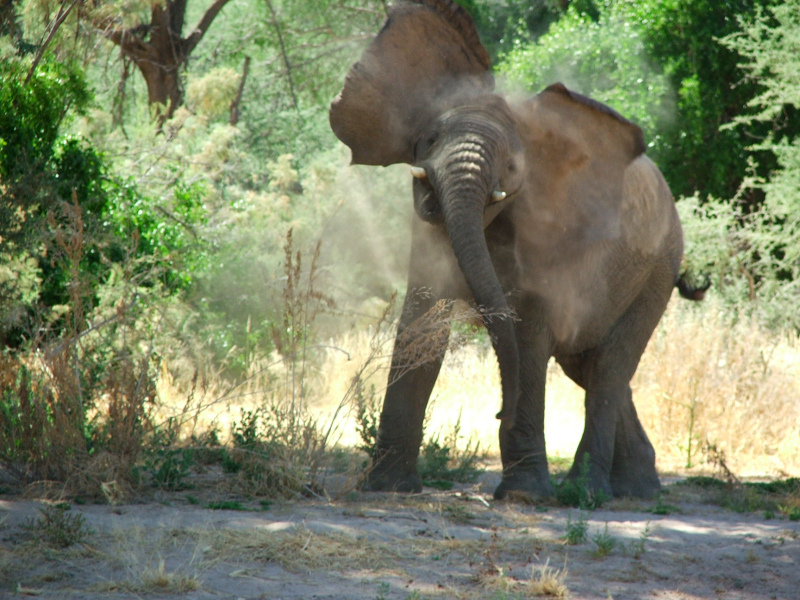 Soon we were right beside a small herd as they browsed the Mopane trees. Just beautiful. Unforgettable. So, now we are back on public transport for a short while. In Swakopmund sampling the cheesecake. Contemplating the next leg. Cape Town now fully in our cross-hairs. 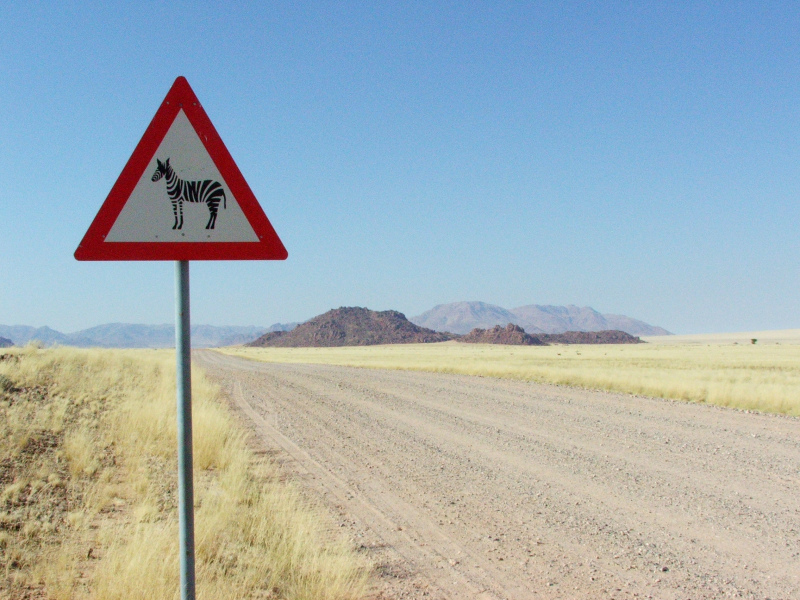 Namibia, there is so much here to see and I can fairly say that we saw a considerable amount. What we have seen in the last fast weeks has been breathtaking. Its countryside is just staggering as one vista surpassed the next, south – in Gods country.